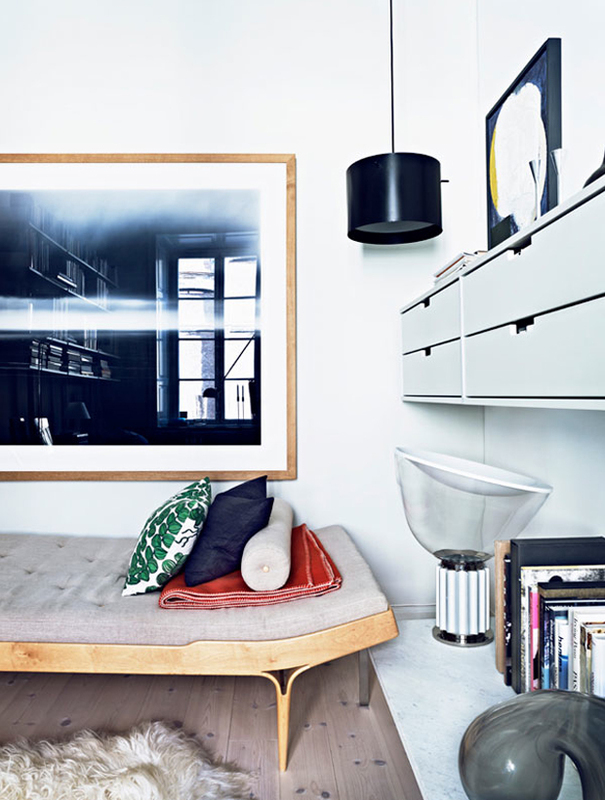 Today I would like to focus your attention on this interior photography that I picked up from Jonas Ingerstedt’s portfolio, a well known Swedish photographer. 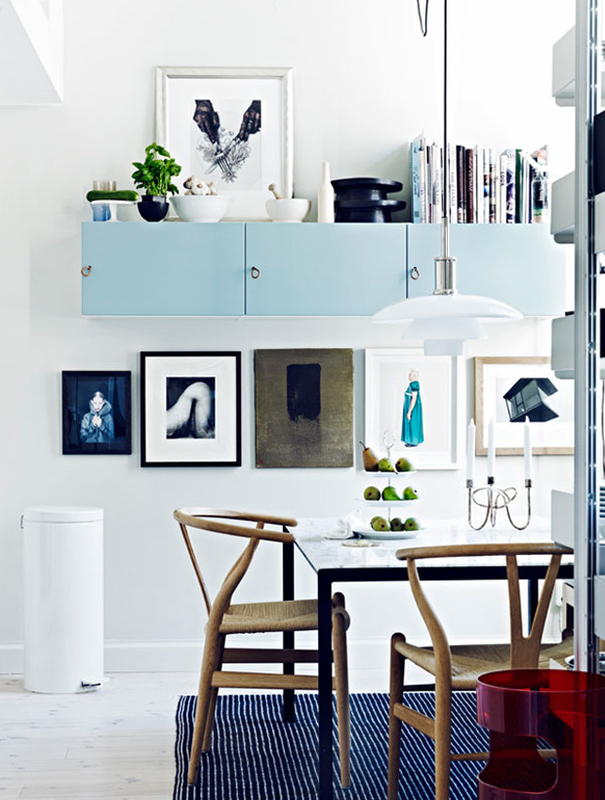 Jonas seems to have a habit for moving house and the magazines have taken head of this, snapping away and featuring him on a regular basis whenever he moves, this re-location warranted Elle Interiör, a Swedish magazine, to swoop in and take the feature. Although the photography is good, I’m actually more interested in the amount of Swedish and Danish design floating around in his apartment. First up is a Daybed by the genius that is Bruno Mathsson, such a fluid shape and looks perfect for taking a nap in the day. The inspiration for this actually came from Bruno’s own need for taking a rest in-between work, he thought it promoted creativity and made the human brain more productive. 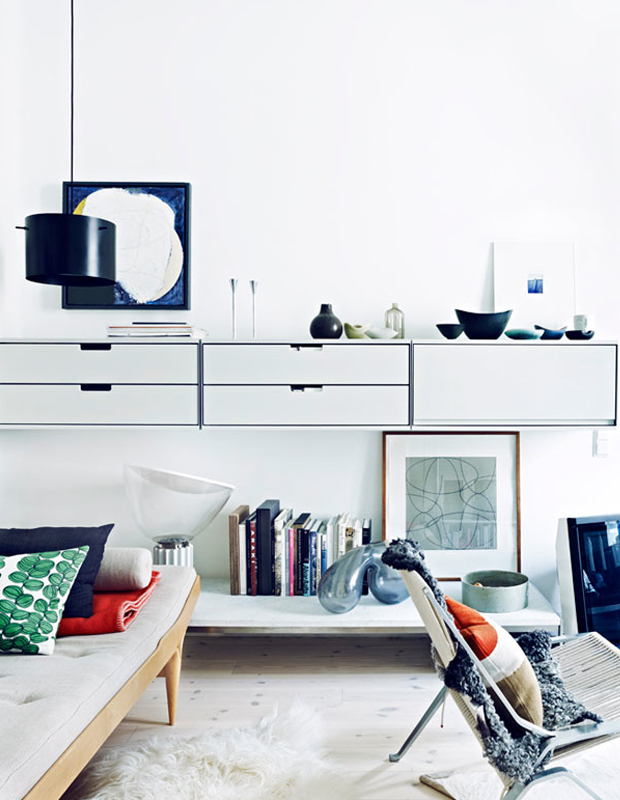 Second, which can be seen in the above photo as well, is the 606 Universal Shelving System designed by Dieter Rams for Vitsoe. Very functional and has apparently moved around with Jonas to every location that he goes, each time it reinvents itself and becomes useable in different ways. 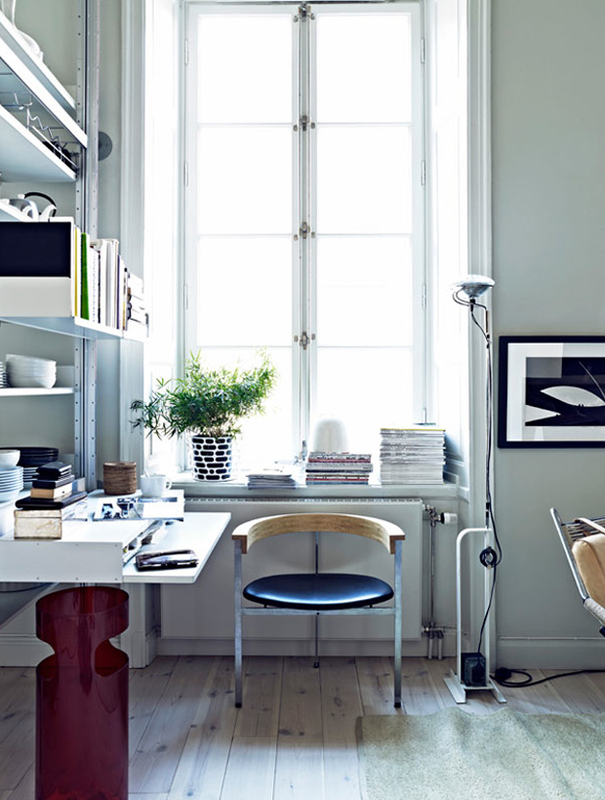 Other great pieces of design include a Poul Kjærholm chair in the picture below and the ever so pretty Hans J Wegner CH 24 chair, otherwise known as the Y-chair or The Wishbone chair which adorn the kitchen. As you can tell from my tone it’s great to see such an array of works in ones home, they all look perfectly in place and work well together. The nice thing about this sort of design is that it really is timeless, the shapes are clean and simple which lends itself to the pure white walls and creative art dotted around, quite architectural in a way. Overall great stuff and if you want to check out more please head over to Jonas’ website where you can see more from this apartment and others as well.